With dozens of inches of annual precipitation, Michigan homeowners are no stranger to basement water damage. This type of damage can cost thousands of dollars in repairs, not to mention the sentimental value of your personal belongings. With 100+ years of dedicated service in the Cadillac area, StayDry Waterproofing is dedicated to protecting your home and family. We know the importance of quality and professional work. 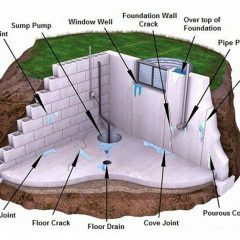 Some of our services include: interior and exterior basement waterproofing, crack injection repair, foundation and crawl space repair, mold control and similar services. Our commitment to quality and honesty will show in all we do. We are so sure you’ll love our services that we offer 100% money-back guarantee on almost every service we provide. Call our Cadillac office at 1-800-STAY-DRY today for your obligation-free consultation and to begin your basement waterproofing investment. 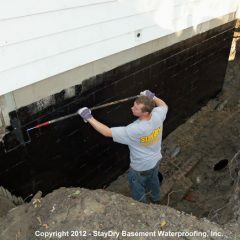 StayDry® is proud to provide service to residential and commercial customers in Cadillac Michigan and all cities in the greater area with the following services: Basement Waterproofing, Foundation Repair, Crawl Space Encapsulation, Mold Solutions, and all other Waterproofing Services! 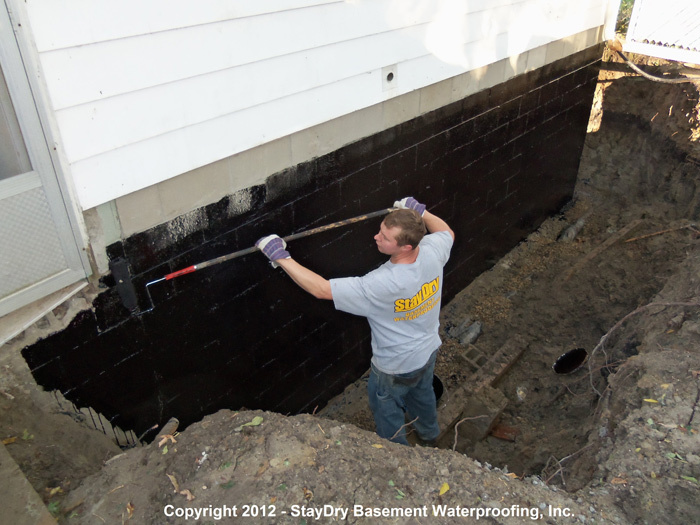 At StayDry® Basement Waterproofing, we offer free estimates for Cadillac residents to solve damp or wet basements, nasty crawl spaces, mold issues, and also cracked or bowed foundation walls. StayDry® has an excellent reputation in Cadillac and all over Michigan. Ask to see our referral list of happy customers who have had our interior or exterior basement waterproofing, crack injections among other waterproofing solutions completed in their homes. Wet basements or just occasionally leaky basements become a thing of the past after you call StayDry’s® Cadillac Basement Waterproofing division today. We have over 125 years of combined experience keeping Cadillac basements dry. 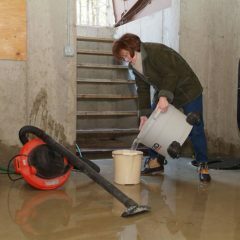 Your wet basement will become a clean, dry, and enjoyable area of your home. 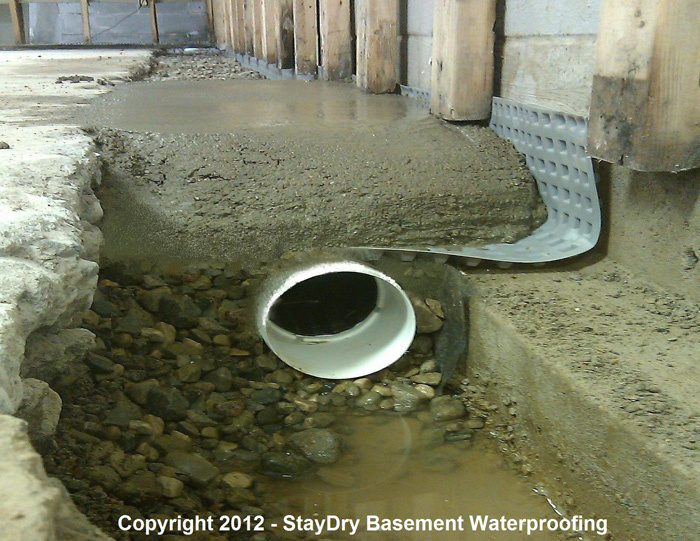 Honesty and integrity is important to us at StayDry® Basement Waterproofing. Our commitment to reliability and quality of work shows from the initial contact with our office to the basement waterproofing specialist who performs the inspection and estimate to the work crews who get the job done. 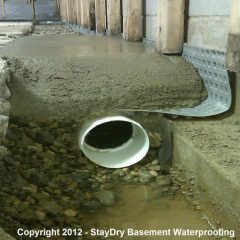 Basement waterproofing is what gave StayDry our name and we do it better and more effectively than any other. Our prices are very competitive and fair, just ask our thousands of satisfied customers. After your free estimate, we will leave you with a referral list filled with hundreds of happy customers. We encourage you to call and speak with them, the greatest compliment we can receive is when our customers recommend our work. 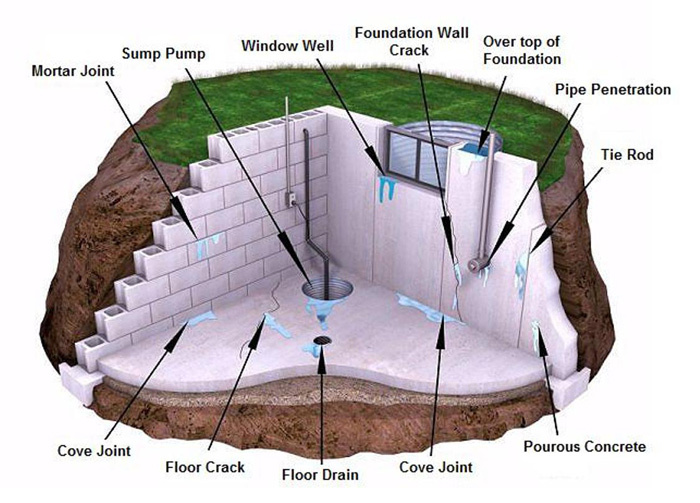 Water can get into your basement or home crawl space in many different ways. It can come from both inside and outside of your home, but either way, it can cause the same damage. 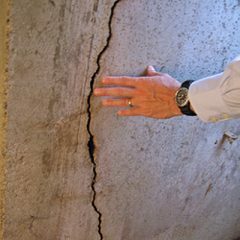 During heavy rain, water can come over the top of your basement wall, through window wells, through cracks in the wall, through rising groundwater, or even seep through concrete when water is sitting. These things can happen incredibly easy from an unexpected surge of water, overloading your drains or natural geography that carries water away from your home. 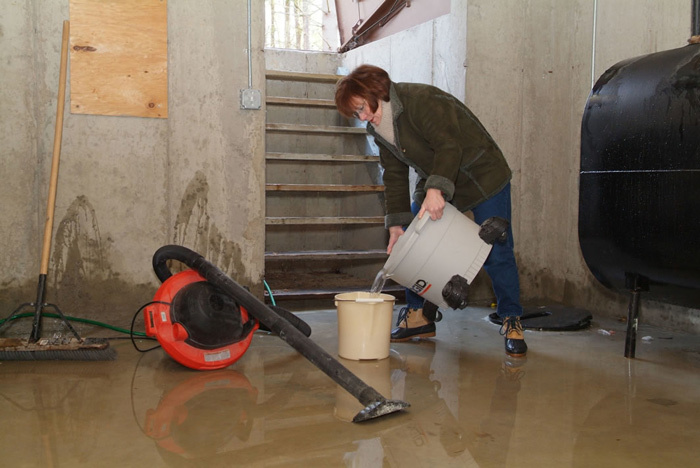 No matter the cause, water in your basement can cause foundation damage, destroy your possessions, and also cause mold and mildew, an equally as harmful effect of a wet or moist basement. Mold and mildew grow rapidly in warm, damp spaces, easy to accomplish here in Cadillac, Michigan. They release spores that can cause respiratory problems and illness for the home’s inhabitants, especially the more vulnerable like the very young and the old. Excessive moisture can also cause dry rot, that wears down the materials, especially wood, in your foundation. Similarly, both wood and concrete can absorb water, causing bulging, cracks, and eventually breaks. A professional from StayDry Waterproofing will be able to help you best solve the problems causing water and moisture underneath your home. We have a variety of services that can address your waterproofing needs. 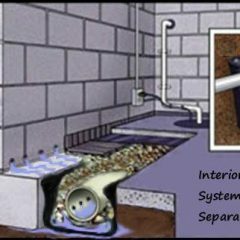 We have solutions to keep water away from your home, a French drain system. 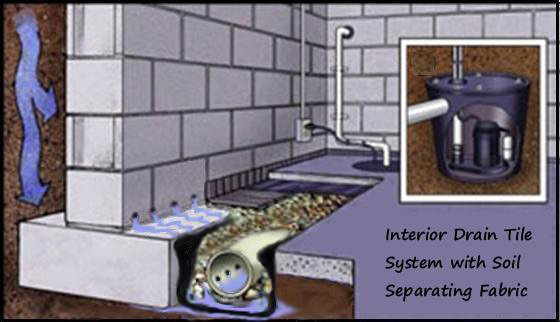 We can also install a sump pump, a system that pumps water collected in your basement out. 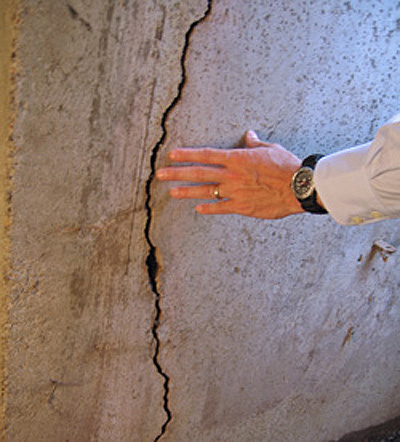 We also have waterproofing services, and foundation repair. Our waterproofing services include sealing basement walls from the outside, installing pumps and drains to get water out, installing dehumidifiers to rid the space of humidity, encapsulating crawlspaces, and more. If water damage has taken a toll on your home, StayDry can help repair your foundation, no matter how big or small the job. We can do things as simple as crack injection (one of our most popular services) where we fill cracks and spaces with a polyurethane. We can also install new home supports, fix bowing or askew walls, or even replace an entire wall by excavating around your home, removing the existent wall, and rebuilding a wall that is safe, reliable, and will not let in anymore water. We are dedicated to serving the people of Cadillac with the best home waterproofing services in the state. We can help you with any problem, no matter how big or small. Here is a look at a few requests for waterproofing services from our neighbors. We recently bought a house with a block basement. We are now finding that water leaks in along one wall where the wall meets the cement floor. We would like to see what our options are to fix this, if any, and how much they would cost. Our team of highly trained professional experts at StayDry are ready and waiting to jump into action. We are also available 24/7 to take emergency calls. Give us a call at 800-800-7073 today and let us know what you need! We are looking forward to talking to you. Historic home needs basement waterproofing.